So the first film is 2006's Island Of the Living Dead. 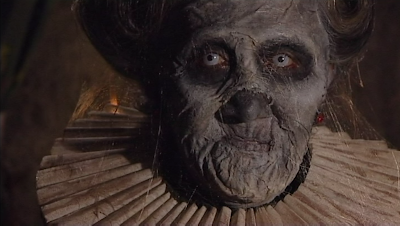 Now, I've seen Boll's House Of the Dead, but fortunately for me, I forgot almost all of it almost immediately after watching it, because that made the more supernatural sequences seem even more surprising and creative. By the time I was watching Island, it felt more original and amusing than it if I'd kept recalling similar moments from House. Basically, a bunch of sea-faring treasure hunters shipwreck on an island, which is of course overrun by zombies. But it takes a step further out of left field when they take shelter in a haunted house, and different characters experience different types of encounters with the undead. The captain has a drink with the long deceased captain of a similar ship, and another character is chased by grim reapers. Even if its never entirely original, it still makes things a little more interesting than just your generic zombie flick. Although don't worry, there's still plenty of your pure, lurching zombie hordes just waiting for the characters to realize that you need to shoot them in the brain, too. The dubbing is terrible, even by Italian horror standards, but with Mattei, that just winds up adding to the films' charms. Yes, the film is shot on digital, and so doesn't have that nice filmic look of Hell Of the Living Dead and other vintage titles. But once you accept it, it's fine. In fact, it might almost better suit the tone of the film. After all, this ain't Suspiria. But Mattei still has the style of lighting and framing to, in some aspects, raise these films above the level of our local backyard productions. The complete unevenness of the film's quality syncs with the action on scene. Something new is always being thrown in front of the camera to keep you in your seat, and it works. The zombies will Flamenco dance if they have to! The line between laughing at and with the film is completely erased in that way very few cult filmmakers could achieve, constantly flipping you from laughing at how cheesy something is to being genuinely entertained the way the filmmaker intends. The effects range from laughable to effective, the atmosphere is in high gear, and it's gory just the way horror fans like it. Now, I said Severin put these out. 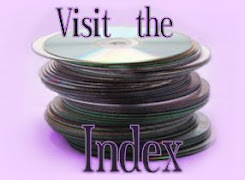 Strictly speaking, each film's DVD release in the USA was from Intervision. But in 2011, Severin took over the production and marketing of Intervision's releases, so these are essentially Severin releases with Intervision logos on the cases. Both of these came out at the same time in February 2015, on DVD only. 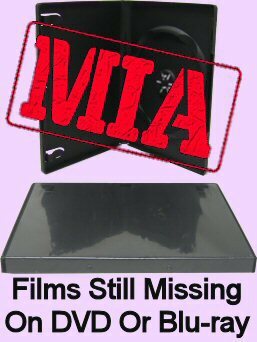 There has never been an HD release of either film, though there were a few previous, foreign DVDs. But these are uncut, in English, inexpensive and have the best extras. So go for these. Also, I love how they totally ape the old VHS cover of Gates of Hell for Zombies. Top two: Intervision's Island DVD; second two Intervision's Zombies DVD. Both discs are anamorphic at 1.78:1, but as you can see, they have some black matting on the left hand side, particularly the first film (by Zombies, it's really just a sliver). So really these films are 1.77:1. 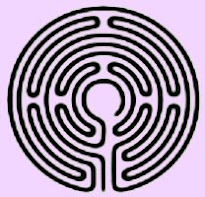 They're not interlaced, but detail is really soft and compressed. I don't know if that issue lies with the DVD transfers, though, or if the film looked like that straight out of the camera. These films are colorful with no interlacing or other issues; but they're far from HD. I mean, even farther than most modern, SD DVDs. But apparently Mattei was making his films on HDCAM at this point, so again, I don't know how much better these movies ever looked, even projected theatrically. I'd definitely be super curious if a blu ever came out, but I really don't expect we'll ever live to see one. Audio-wise, we just get basic, Dolby Stereo tracks. It's all dubbed, so it sounds quite clean. There are no subtitles or other options. The primary extra on each disc is a roughly 20-minute featurette with the film's screenwriter, Antonio Tentori, who you probably remember from Grindhouse's Cat In the Brain discs. He's actually quite informative and interesting, telling us everything from his experiences with Fulci to how there was meant to be a third and final film to this zombie trilogy, but Mattei didn't live to see it through. Island's featurette also includes some comments from the producer, Giovanni Paolucci. So while we're not talking full-on special editions, these featurettes are quite satisfactory. Each disc also includes the film's theatrical trailer, and Island also has an "international sales promo," which is essentially a five minute highlight reel. Not really worth watching once you already own the film, but I'm glad they stuck it on there since they had it anyway. So I definitely recommend these DVDs if you're interested in the films. But do I recommend the films? Well, yes, if you know what you're getting into. 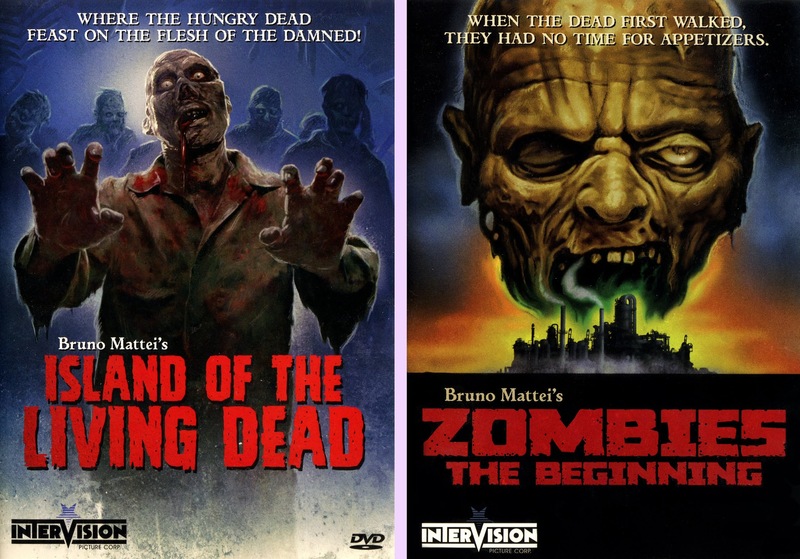 These are fun Mattei zombie films. Yes, they're shot on old digital cameras, but you'll be glad you pushed yourself to get past that. But bear in mind, these are also shoddy, trashy films by most mainstream standards, so the majority of people around the world are gonna hate 'em. This stuff's for a select audience only. But if you're like me, a fan of Hell Of the Living Dead wondering if that audience would include you, then I'm happy to report, yes, these are a kick.